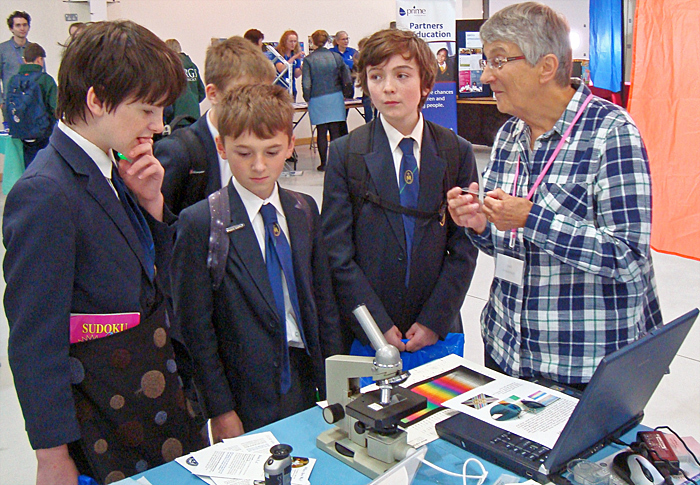 The Club was invited to set up a display at the schools day of the Malvern Festival of Innovation on the 3rd October. 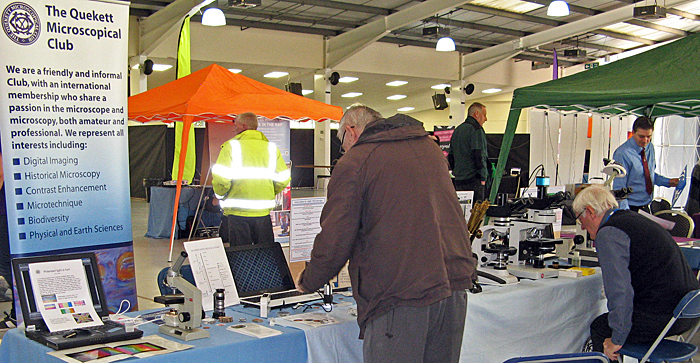 The event was held in a large exhibition hall at the Three Counties Showground in Malvern. 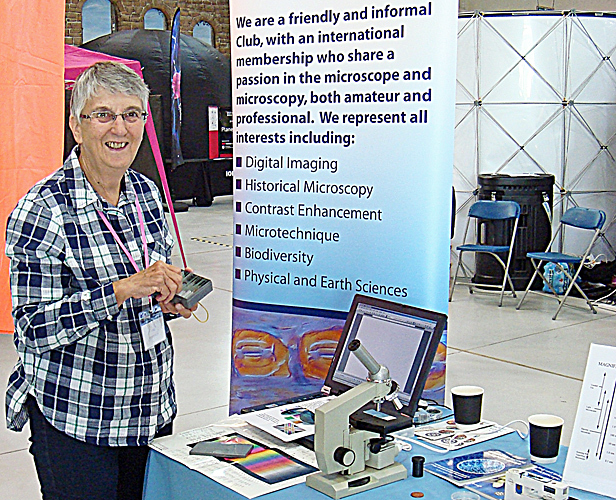 Ray Sloss and Mike Gibson set up a display of microscopes through the ages from brass to digital and Pam Hamer had a polarised light display. 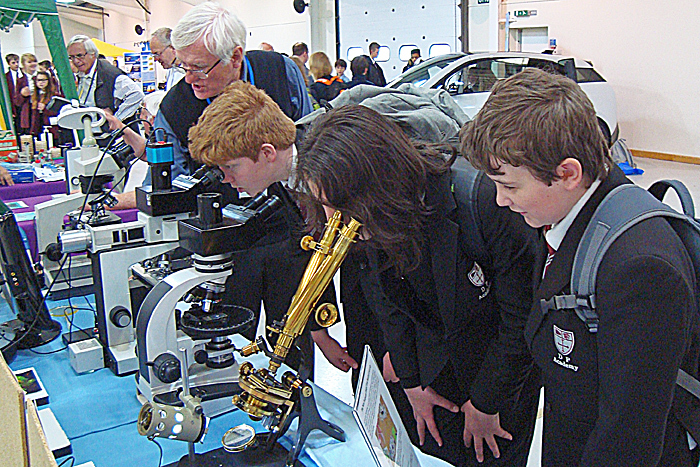 The displays were intended to show 14–16 year olds the range of things done in science, engineering and technology with some pretty heavyweight organisations joining in to enhance the innovation theme. 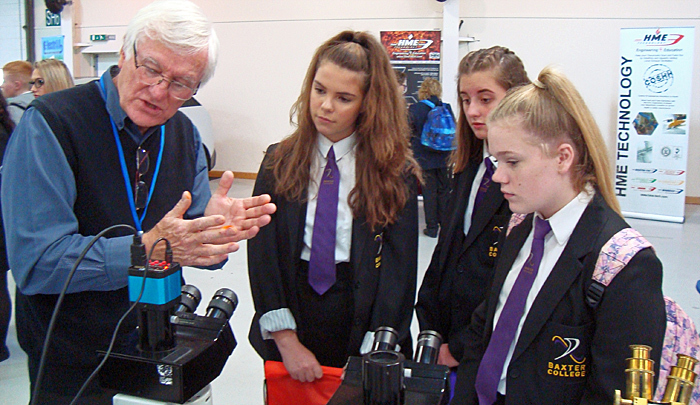 Some 800 students were due to attend and they were a most enthusiastic bunch. 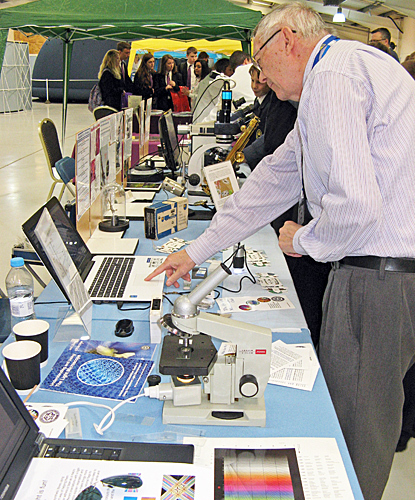 Mike’s digital microscope giving a display on his laptop created lots of interest with the students examining their blazers, ties, skin and hair! 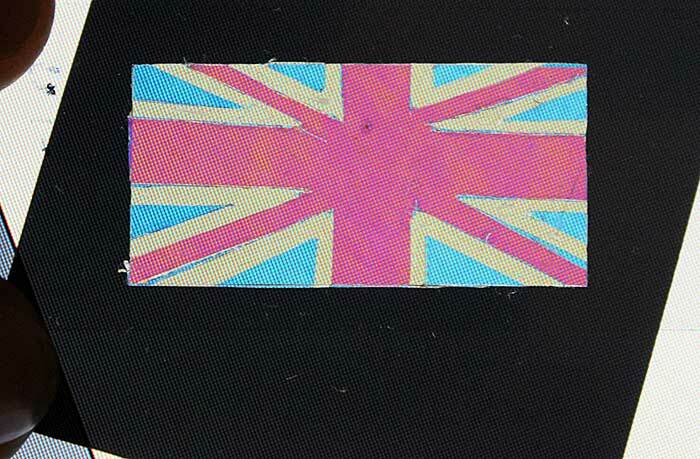 Pam’s do-it-yourself set up with a computer screen and polarising sunglasses had a ‘wow’ response when showing a birefringent Union flag made from layers of Sellotape. 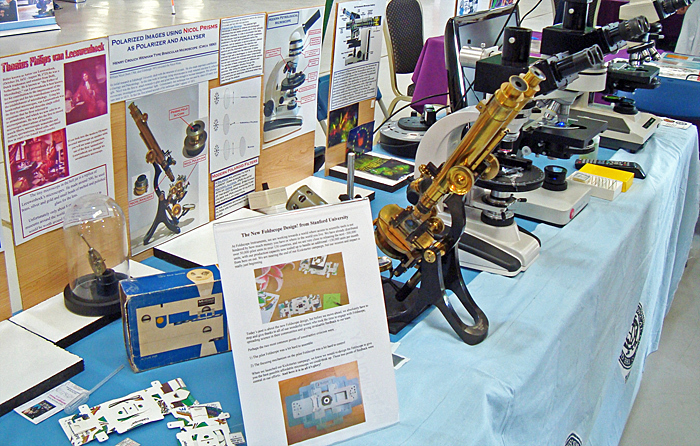 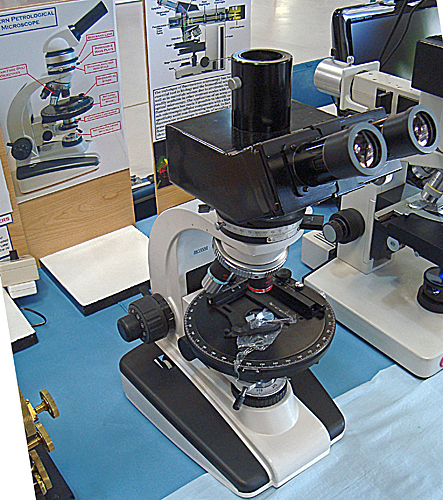 Ray’s display including polarising and DIC microscopes showed the more serious microscopy. 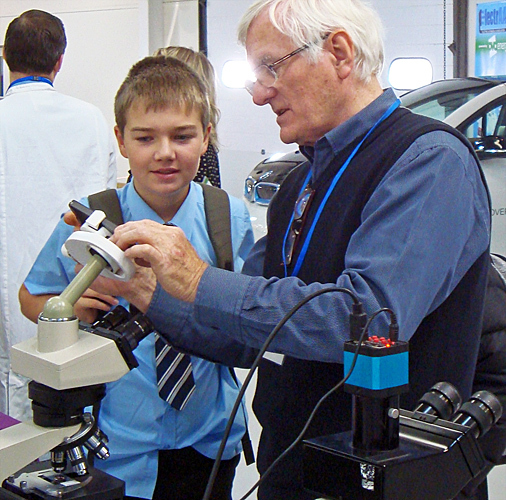 We were struck by the way the kids wanted to see and try things and listened attentively as we explained the background science. 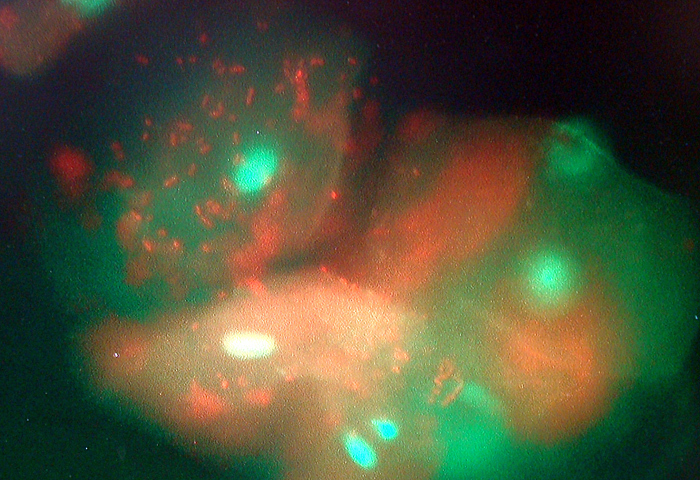 They almost universally thanked us politely as they moved on!